No I am not talking about No-Reply bloggers... though, I have a few opinions on them but you can read about that through other amazing bloggers like here and here. But today I realized I am that person. [She said with shame in her voice] I am the person that makes people like me insane. Two events, one last night and one tonight, I waited till the last minute to reply. I didn't even hint at my attendance. I just hovered and waited until I was sure I was going. Its not that I think something better will come up. With the one tonight I actually thought I'd have to do something else but it turned out that i didn't but even when I realized I didn't, i still hesitated. I think its my introvertedness that stops me. Although I really wanted to go to both, I was somewhat afraid to commit. Some days the shy button is hyper sensitive and I am not sure when those days are going to be. I don't get anxious. Its not an anxiety thing for me. Its a comfort thing. I am afraid of feeling uncomfortable and in turn them feeling uncomfortable. On top of that, I often will opt for a quiet night at home with a glass of wine, my knitting, and a good TV show. BUT NO, I decided this week I wasn't going to do that! This week I was going to go out. My roommate (with whom I do everything with) is out of town so I wanted to make sure I didn't become a hermit while she was gone. I intended to be more intentional this week but hey going to these two events are pretty damn social for me :) plus I have had plans every day this week. 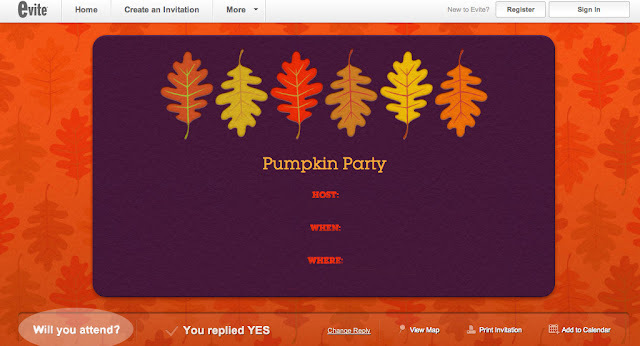 So yesterday I hit RSVP - YES and it felt good to commit. Are you a wait and see person? I have pretty strong feelings on those people but this week I was humbled by the realization I tend to be that person. I will try harder at responding appropriately. Its inconsiderate when people are trying to make plans to hold off. Your consistent wavering can really throw people's schedules or plans off, eventually leading them to not invite you anywhere. A "maybe" is better then nothing. I hope you all have a fabulous weekend. Stop by on Sunday. I have a pretty fabulous giveaway starting! I'll admit it. I'm definitely a wait and see kind of person... It's not that I'm necessarily waiting for something better to do, but more that I hate being that person who says "Yes" to something early on and then as the date approaches, have to go back and swap myself to a no. Hi Nikkiana. Thanks for your comment! I think my peeve is towards those who just never respond or respond at the very last minute... especially when you know someone is waiting on your reply to round out their plans. i wait and see and I also think it's from me being an introverted person. I hate social situations and try to avoid them. Actually, I hate deviating from routine. When we go on short trips, right before we're about to go I usually try to back out.